Families with children, individualists, mountain enthusiasts and connoisseurs are right at home in Berwang and Bichlbach. 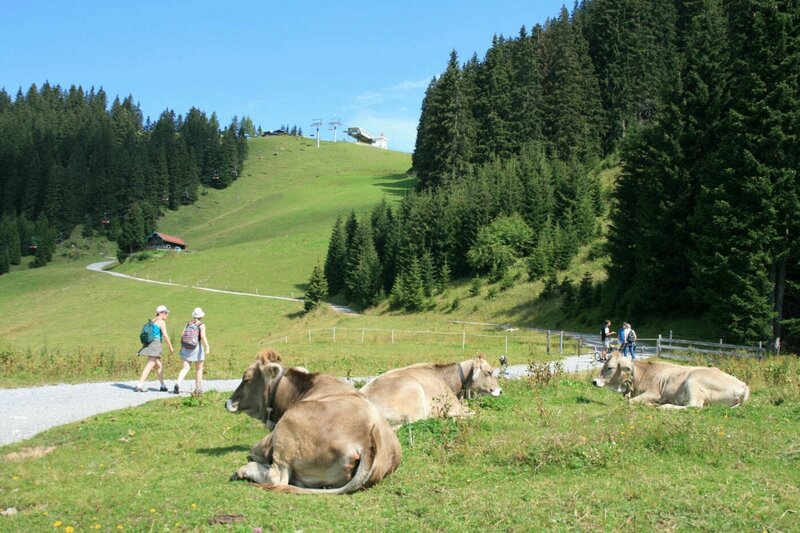 The pace of life is a bit slower than in other big holiday resorts in the Alps. The traditional Tyrolean way of life, heartfelt hospitality and scenery that has been maintained lovingly for thousands of years are your constant companion. Despite the tranquillity, you’re at the heart of the Tiroler Zugspitz Arena, one of the most popular Austrian holiday regions. Find numerous opportunities for a multifaceted holiday on the sunny side of the Zugspitze. 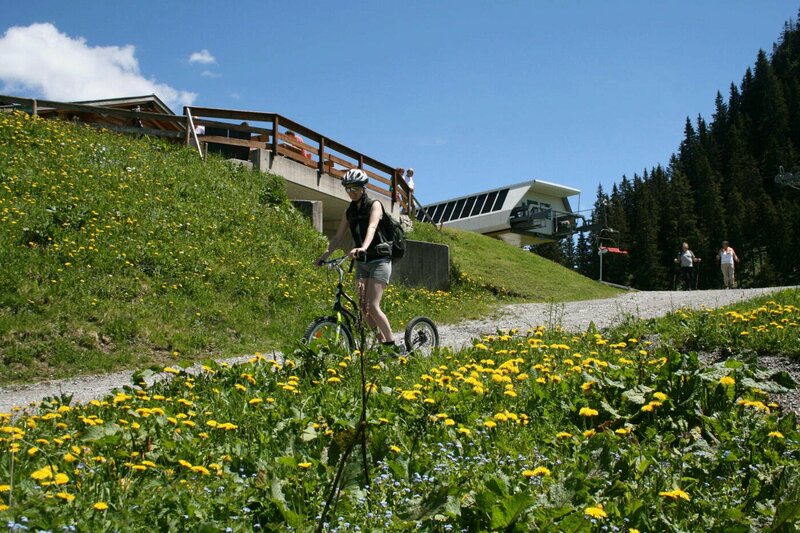 Hundreds of kilometres of hiking trails and mountain routes, scenically unique mountain bike tours and single trails, and water sport and action adventures give boredom no chance. If you like, you can rise sky high while paragliding. The Z-Ticket, the discount card for the entire Tiroler Zugspitz Arena, helps fit a holiday in Berwang-Bichlbach into the family budget. Pick the duration of the card yourself and enjoy free rides with the cable cars and buses, admission to the indoor and outdoor public pools, even a cruise and fun sport adventures on every day of your holiday. Numerous discount partners ensure affordable holiday fun while rafting, in the climbing park, the ground course, while golfing, and much more. Those who love to travel on foot will get their money’s worth in Berwang and Bichlbach. There’s everything here from comfortable walks to pram-friendly hiking trails to mountain and summit paths – and the Bergbahnen Berwang will take care of the arduous ascent or descent for you. Rustic mountain huts and mountain inns invite you to take a break and to sunbathe while your eyes roam across numerous summits, green alpine meadows and dark forests. Mountain lakes and streams along the way come just in time for some refreshment, while kids don’t even realise how the time flies by while playing at the water. The Tiroler Zugspitz Arena has been known as a hotspot among bikers for quite a while. Again, while things might be a bit quieter, it is just as spectacular in Berwang-Bichlbach. Cyclists and bikers can reach the starting point of downhill paths and bike tours with the Almkopfbahn in Bichlbach and the Berwang Sonnalmbahn. Those who just want to have fun cycling should try out a downhill ride on the mountain scooter. Ten kilometres run quickly into the valley from the Hochalm – the ultimate scooter fun for the entire family! Find bicycles, mountain bikes and lots of equipment plus clothing in the sports shops in Berwang and Bichlbach. Perfectly maintained bikes for rent and guided MTB tours are also part of the sportive offerings. The activity-packed options in the Tiroler Zugspitz Arena are almost too diverse to keep track of. Find all important information for your holiday in the Berwang-Bichlbach region on the following pages, ranging from the prices for the holiday discount card Z-Ticket to the addresses of sports shops and bike rentals. We wish you and your loved ones a great holiday!